Some of the things that you might be concerned with at the time of buying Toyota forklift parts are; how to buy the best forklift spare parts suitable for your specific needs and how long you can expect them to last, among others. A broken or malfunctioning forklift cannot just adversely affect the efficiency of your business, but it also poses a serious threat to the safety of your employees and your goods. So, it’s important to ensure that you buy the best quality forklift spare parts and also get your forklifts serviced at regular intervals. How to buy Toyota forklift parts? It’s always recommended to buy the best quality Toyota forklift parts, you can afford, from a trusted supplier in Australia. However, if you have a limited budget, purchasing used forklift spare parts can be your best option as long as you are certain about their quality. When looking for used forklift spare parts, weigh your options wisely. Used parts are available in remanufactured and re-built options. Remanufacturing is the process of making the complete worn parts instead of just the worn out components like in rebuilding. So, remanufactured parts are longer-lasting and a better option than re-built parts. Secondly, you need to remember that forklift spare parts are made for specific brand and model of forklifts. So, if you are in the market for Toyota forklift parts, make sure to consider the make and model of your forklift in order to buy the most suitable parts. How long do forklift spare parts last? The time for which typical forklift spare parts last depends on several factors. One of the most important of which is how you look after your forklift and how regularly you get it serviced. A Toyota lift truck with new, high quality Toyota forklift parts can last between 10 to 20 years with regular servicing. Regular servicing also minimizes the risk of accidents apart from increasing the lifespan of your lift truck. 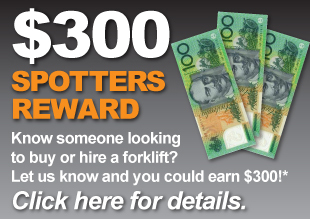 For high quality yet affordable forklift spare parts in Australia, visit South Coast Forklifts. With a wide range of forklift spare parts, you can rest assured that you’ll get a great deal for your money!